The new DVR Express® Core 2 builds on the success of the Core series, offering more camera inputs and faster direct-to-disk recording speed, enabling more of the latest industrial and scientific cameras to be reliably recorded over long durations. As well, the faster host PC speed means better live video display and shorter file export times. 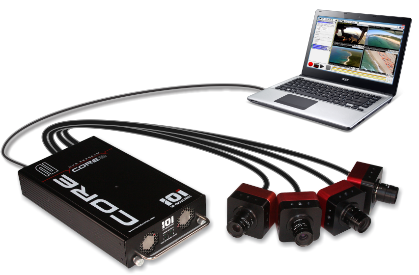 The DVR Express Core 2 can record from up to four cameras simultaneously, simplifying multi-camera recording applications such as motion capture, stereoscopic imaging, volumetric particle tracking and more. As well, built-in synchronization tools allow accurate alignment of each camera’s exposure, provided the cameras support such features. External frame synchronization signals can be connected to the Auxiliary I/O port of the Core 2, or signals can be generated internally using the Signal Generator tools. Timestamps can be applied to the images based on the exposure trigger point or any time thereafter. Traditional high speed video cameras rely on internal memory for storage, usually with enough capacity for a few seconds or minutes of video at most. The DVR Express Core 2 can be configured with up to 15 TB of removable solid state storage, meaning tens of minutes if not hours of video can be recorded, without the need to download to disk after recording! Long-duration video recording allows for greater analysis of processes over time, a feature not possible with other camera systems. Also, if only short clips are needed, the high storage capacity allows many more experiments to be captured with no transfer downtime in between. 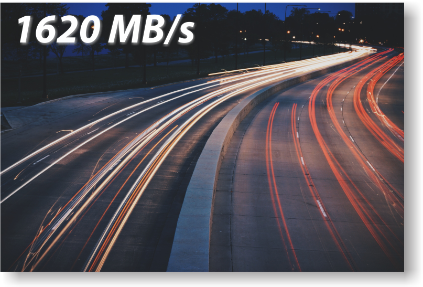 Video compression has its place with some applications, but when a critical experiment is underway and the best possible video quality is required, experts turn to the DVR Express Core 2 series. These powerful recorders store high-bandwidth uncompressed video data from up to four cameras, preserving all the detail and dynamic range of the original digital video data. This allows frame-by-frame review of recordings as though each frame is its own still picture. After the recording is complete, clips can be exported into formats that do support compression, such as AVI or JPG, but the original data is always preserved. 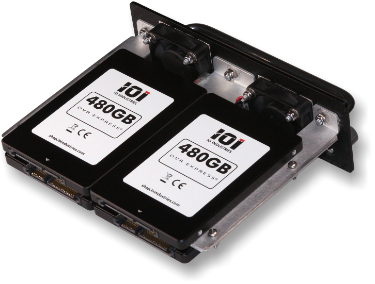 The DVR Express Core 2 incorporates a removable cartridge (Drive Shuttle) holding up to four solid-state drives built with NAND flash technology. Using solid-state media ensures reliable continuous recording with no dropped frames, plus tolerance to shock and vibration. Recording directly to non-volatile storage protects data in the event of a power loss, whereas a RAM-based video recorder would lose the data immediately. Even if no power loss occurs, with non-volatile media there is no download process after each recording finishes (to “save” the recording file) – all frames are already saved the moment they reach the DVR. 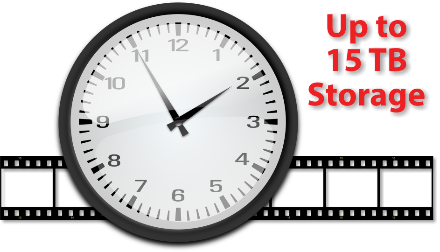 All recorded video frames are assigned a digital timestamp which is stored along with each frame’s video data in the recording file. 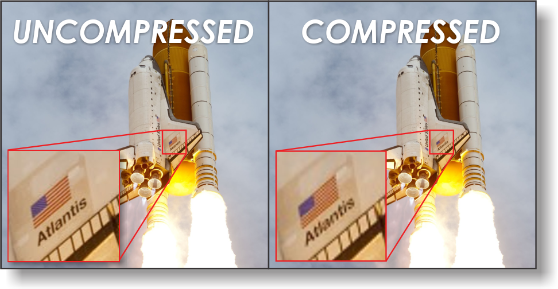 Accurate timestamps allow correlation between recorded video frames and other timestamped data sources. 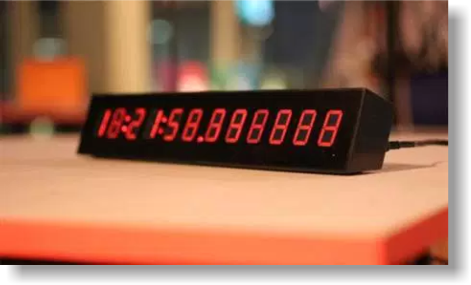 The precision of each timestamp is 100 nanoseconds with a time accuracy of +/-50 microseconds or better, depending on the master time reference source. This could be the Control PC’s clock or one of many supported IRIG-A/B or GPS receivers. With an IRIG-A/B or GPS receiver, the DVR’s time is updated once per second with a hardware synchronization loop, eliminating any drift over time.